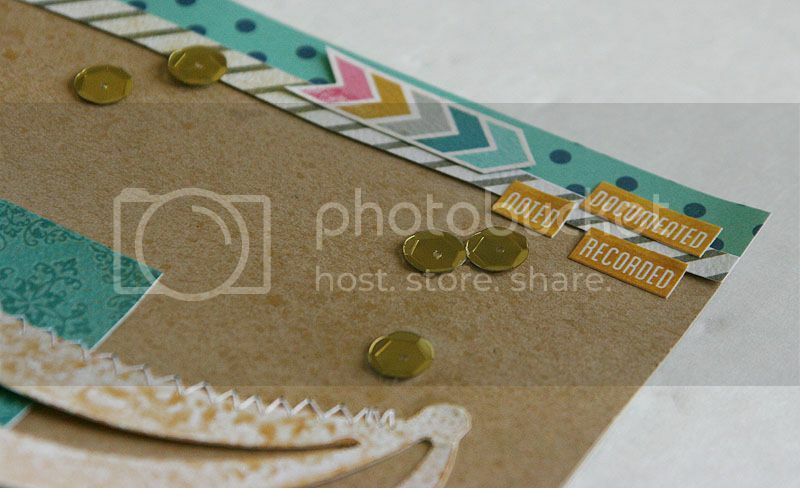 I'm excited to share another layout today using the "Days of the Week" kit from The Paper Bakery! **Yes I know the photos are blurry. Blogger is not my friend today! It doesn't photograph too well on the kraft cardstock, but I sprayed a little of Heidi Swapp's new Gold Lame Color Shine. It adds such a beautiful shimmer of gold. I wish you could see how pretty it looks!! Well, it's Monday again my friends. What fun things do you have planned for this week? Great design and I love the flair!! Beautiful page! Love the sequins! This is so pretty! I love the cutout for the title! I ended up getting the Studio Calico gold mist and it's not as shiny as I would like. Sounds like the Heidi Swapp is better. Great page layout, love the banner. Loving all the different textures on this page. Really pretty Mary Ann!! Love the use of the Gold and the stitching on the banner!